Effective highway and tunnel traffic management greatly depends on fast incident detection, verification and resolution. Trafitek’s Video Incident Detection System consists of a network of cameras that automatically detect incidents such as wrong way driving, over speeding, accidents and more, and ensure appropriate response. Used for high precision detection of incidents like stopped vehicle, wrong way driver, over-speeding, under-speeding, speed drop and traffic congestion. The system also detects non-traffic incidents like smoke or fallen object in tunnels. Collects traffic related data on highways like speed of traffic flow, zone occupancy, average speed per vehicle, gap time, video sequences and vehicle data and classification. Serial data transfer via interface. Digital recording one minute prior and two minutes post the incident for better understanding of the event. Highly-reliable data acquisition, absolutely independent of climatic conditions via loop detectors, above the ground detectors as well as cameras. Ensures enhanced safety on highways and in tunnels. 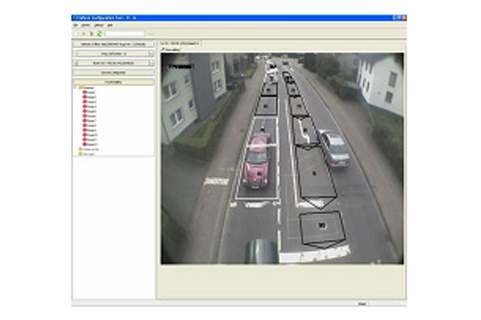 A wide variety of inputs and sensors are used to quickly detect changes in traffic flows. These include loop detection, above the ground detectors and cameras. Quick response reduces the impact of the incident and helps to prevent secondary occurrences. As soon as the incident is detected, it is either brought to the attention of a manual operator or pre-programmed responses are implemented. Signs are used to close lanes, re-route traffic and provide information to drivers on what has occurred and what they should do. Through real-time analysis of camera images, all major incidents in the tunnels are detected within seconds including stopped vehicles, wrong way drivers, queues, pedestrians, smoke, slow moving vehicles and fallen objects.